Machu Picchu is a curious tourist destination in the Andes of Peru, South America. It is often referred to as the “Lost City of the Incas.” This famous ruin representing the Incas Empire and is listed under UNESCO’s World Heritage List and is a must-see site. The inspiring archeological site is often populated with visitors from all over the world who come to witness its scenic view. To access Machu Picchu, you will have to go through Cusco, which can be accessed via air or road. At Cusco, you can buy bus tickets to Machu Picchu at the Cusco office. Another office is located at Agua Calientes where you can similarly buy tickets. At the Aguas Calientes terminal, located just 5 minutes away from the train station and adjacent to the Vilcanote River, buses leave for Machu Picchu from as early as 5.30AM up to 4.00PM. They are the only official public means of transport that cruise the meandering highway leading to the site. If you want to be on the first trip, get to the station at least 30 minutes earlier to the departure time. The site opens at exactly 6.00AM and you will be there just in time. In between the hours of operation, the buses leave within 5-10 minutes intervals from either side. This will, of course, depend on the season, high or low and the number of visitors. 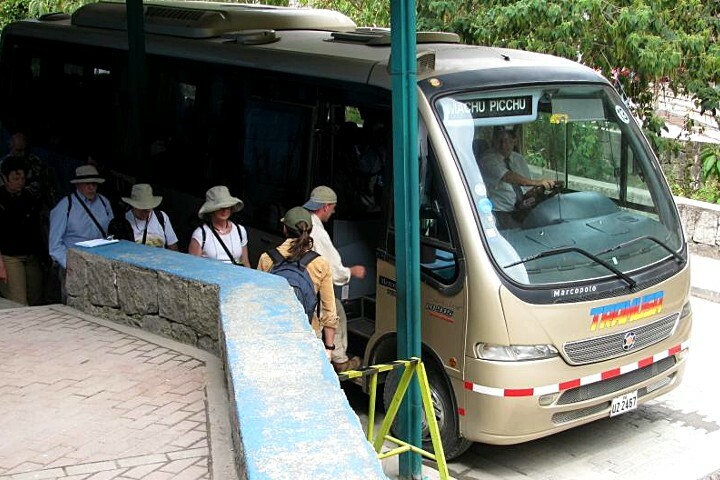 It takes an average of 20 minutes in these Machu Picchu bus trips on the winding road with steep side views. The view along the way is captivating and you can vividly note the climb with the Vilcanote River appearing down in the distance. -The Machu Picchu site opens at 6.00AM. -You are served on a first come first serve basis at the bus terminal. 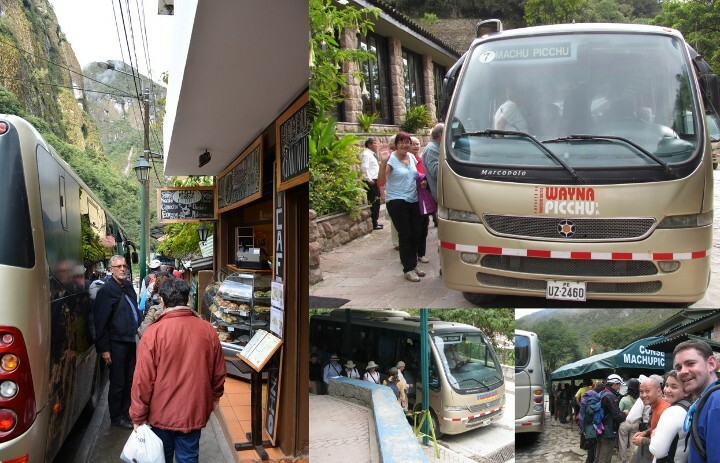 -Buses from the Aguas Calientes terminal operate between 5.30AM to 4.00PM. -An average one-way trip takes only 20 minutes. -One-way and round-trip costs for adults are $12 and $24 respectively. – One-way and round-trip costs for children are $7 and $12 respectively.